This symbolic wall art is full of vibrant colours and symbolic meaning which is perfect to lighten up any room. This wall art has been crafted in Jaipur using traditional methods, such as hand stitching hundreds of sequins to give the wall art more dimension. 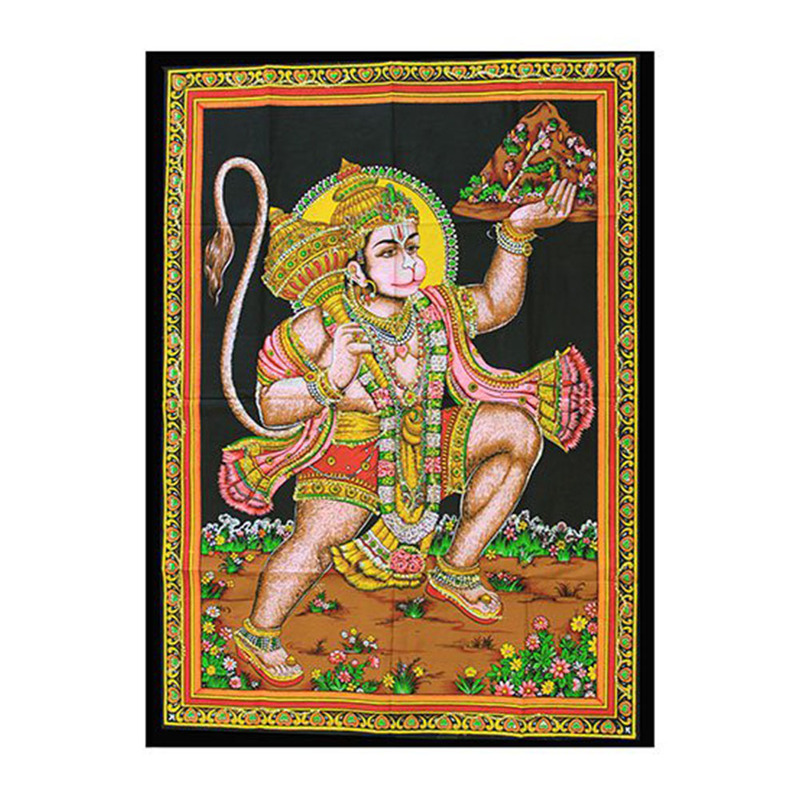 This beautiful wall art represents the Hindu God Hanuman. The monkey god is known for his courage, power and faith.